The day after we put last year’s Hot List to bed, we began casting a net for this year’s favorites. We flew a collective 529,500 miles, sausaged in coach, slept in roughly 200 beds, and had passports stamped in more than 50 countries between our team of 60 reporters, editors, and photographers. And yes, we had our share of knock-down, drag-out debates that got us from the 675 contenders we started with to the 75 you see before you—only 11 percent of all those properties we bunkered down in made this list this year, making it our most selective ever. 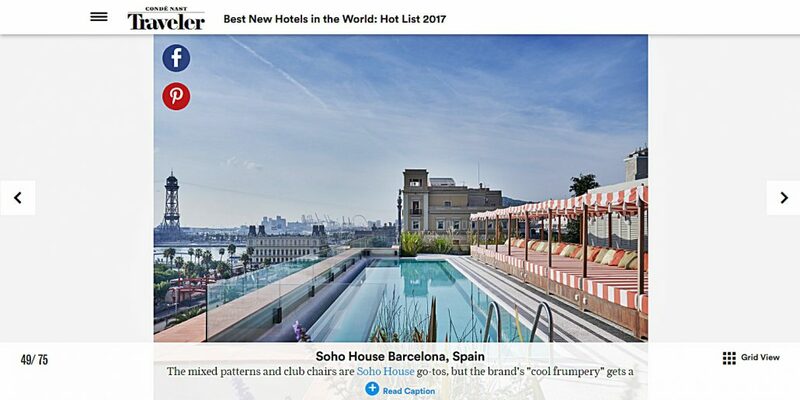 Read on for the full Hot List, and see how beautiful these places are in our gallery of hotels. VIP Style Magazine | March 7, 2017. 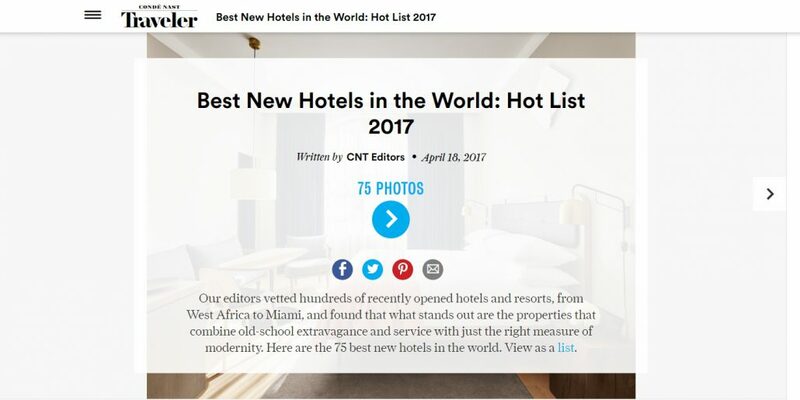 Sleeper Global Hotel Design | March-April, 2017.